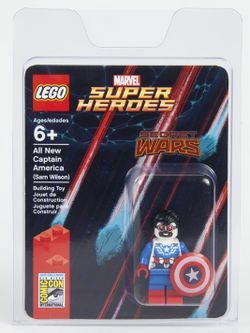 The All New Captain America (Sam Wilson) is a promotional Super Heroes set released in July 2015. It was given away as a collectible item at San Diego Comic-Con 2015. Facts about "All New Captain America (Sam Wilson)"
This page was last edited on 19 August 2017, at 10:29.